Fewer auto makers have experienced the growth that Kia has had over the past decade. Their brands have exploded in US on the back of unique design, affordable prices and long warranties. Kia is quickly closing the gap on Honda to be the 5th most popular auto brand in the US. With all of these new Kia’s on the roads it is important to have a reliable place to get them repaired (after they are out of warranty) and maintained (even when under warranty). 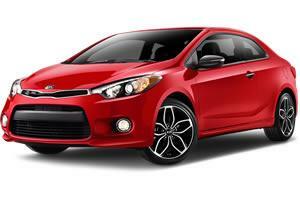 Rx Automotive is the place to go for Kia auto repair in St Charles. There are no Kia dealers in St Charles, so for regular upkeep and maintenance it important to have a local St Charles repair shop that knows all of the regularly scheduled maintenance for Kia. We are trained in Kia auto repair. We also know what it takes to keep your auto manufacturers warranty valid. In short – we are your local solution for Kia maintenance. As a 5-star rated family auto repair shop in St Charles, our reputation is important to us. Bring your Kia to us with the comfort of knowing that we will always be upfront and honest with you. We understand the difficulties and stress that can come along with a car or truck breaking down and we do all we can to make the experience as easy for you as possible. We proudly offer Kia auto repair in Geneva, Batavia, St Charles, West Chicago, and the surrounding areas. The next time your check engine light comes on, make Rx Automotive your next stop.